“Hey, do you remember Susan Branscombe from elementary school?”, I was asked recently by someone from my old neighborhood. I couldn’t recall her. That’s not unusual since a few decades have gone by. They went on trying to get me to remember her. Only after several descriptions, I remembered she was in most of my elementary classes. Now I slightly remember the nice girl. But she really isn’t memorable. However if I’m asked about someone who got into trouble years ago, I’d remember them quite clearly. Everyone used to talk about their indiscretions. And we still might! 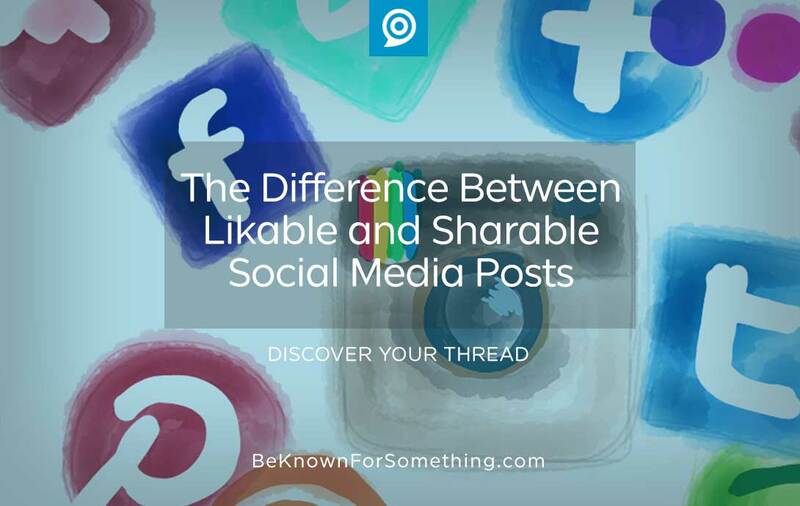 It’s the difference between likability and share-ability. Social mediums allow us to read/watch/see something and then 1) scroll past 2) like it, or 3) share it. As a church, which is the best? The answer is obviously the last. Churches produce lots of announcements. When announced from the pulpit, we see people ignoring them, some nodding in favor, and some (rarely) who can hardly wait to tell others about it. You know, Pastor’s resignation or the cool outreach event that breaks your church norms. We don’t want announcements, social media posts, or sermons to go unheard or ignored. We want them be liked. So we create ones that people nod and agree with. And then they forget them. Instead, break away from the usual posts and make things shareable. Create buzz. Facebook only shares your posts with less than 10% of the people following your page (about the same percentage paying attention during service announcement time?). They want you to pay to “boost” your post to “everyone”. But a “share” is a FREE way to gain more audience. 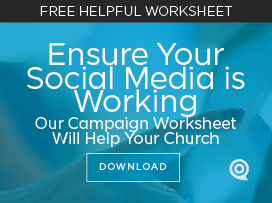 Everyone who shares your post opens up their followers to the important church message. Do, show, or say the unexpected. Be funny, different or emotional. Be urgent. Not with explanation marks (!!!) but with a genuine story that needs to be told. Know your post’s audience and direct it to them; make them WANT to share it because it speaks to who they are or who they know. Be real. Remember that everything changes for each social channel, each piece of content, and your particular audience. The only way to know what works for you? Keep track of your successes. And then stop creating boring posts. Leave that to the other churches.